Succulents, like all plants, need feeding, but in small quantities with perfect timing - here's a resource to give you some guidelines and choices. Many succulent plants are extremely sensitive to salt - guess what most fertilizers are made from? That's right - salts! Fertilizer will dry out the tiny root hairs and make it impossible for a plant to even get moisture, let alone nutrients. I find the best way to feed succulents is with a tiny amount of steer manure or compost, mixed into the soil, which is (ideally) gravelly or sandy, with perfect drainage. 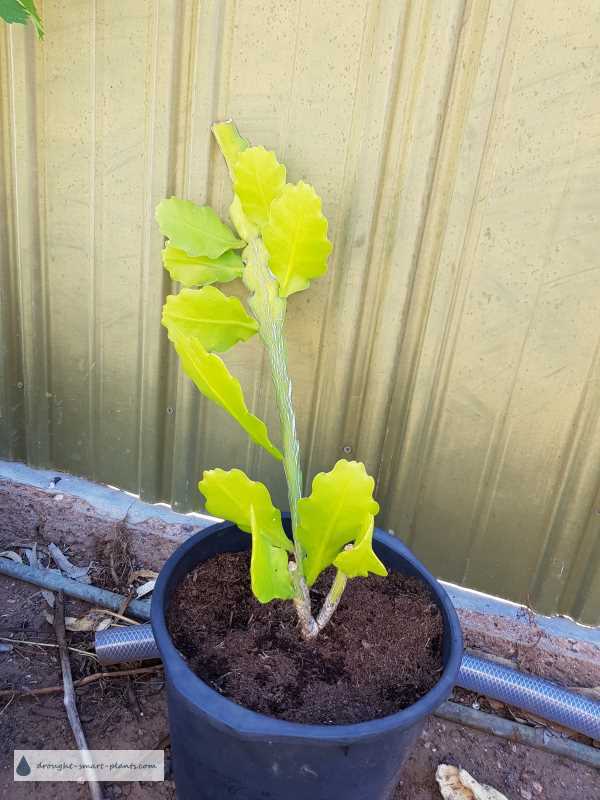 I've used worm castings for this too, which gives a very mild boost, which is ideal for succulent plants. Succulents looking tired and worn out? Give them a boost with some kind of liquid fertilizer for almost instant results. I make my own compost tea almost exclusively, but sometimes this isn't possible to make, if you're living in a condo, for instance. In that case, use some kind of commercial fertilizer, like this one from my affiliate. It's important to follow the mixing directions, if it's a concentrate - don't think that if a little is good, more must be better. Amazon has a wide range of liquid fertilizer to choose from. 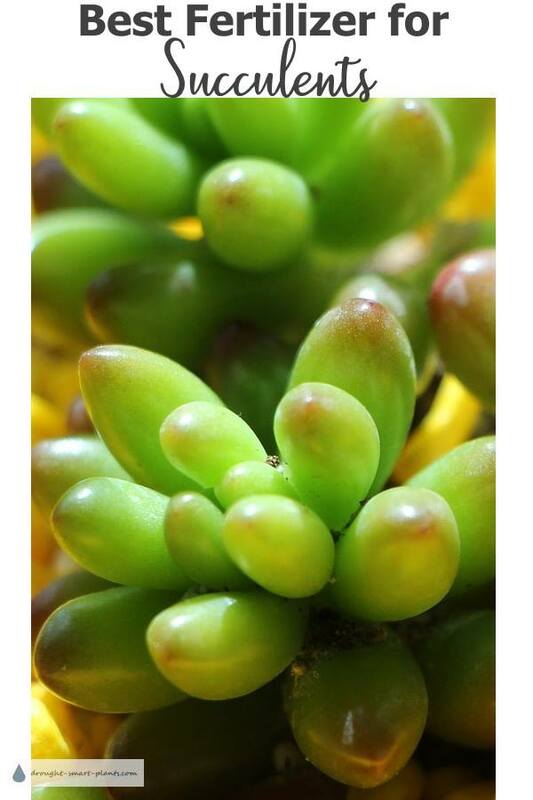 That's why I can't give you exact numbers - it's going to be different for everyone depending on their conditions (such as climate, weather, temperature, light levels and many other factors) and the age and growth habit of your succulent plants. It also depends on whether the plant has gone a long time without feeding, or if it's been well taken care of. 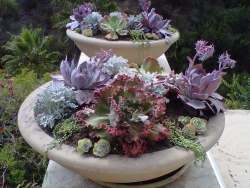 Generally, succulents don't require any fertilizer at all during the winter. Only fertilize when they're actively growing, and stop early so they have a chance to use up what's in the soil. So, if you start to prepare them in late September for a winter indoors, in anticipation of a frost, then you would stop feeding them in early August, so the salts in the fertilizer don't build up in the soil when the plants start to go dormant. What's wrong with this Epiphyllum? Can you tell from the color? How Do You Tell If a Plant Needs Feeding? If a plant needs feeding, you can tell from the color. Generally, pale or yellow foliage indicates that it needs some Nitrogen. However, in some cases this color change indicates that it's in the wrong kind of soil. The Epiphyllum above looks to be potted in almost pure peat moss. Peat moss is acidic, so it ties up Nitrogen, not allowing the plant to access it. There might be lots of Nitrogen, but it's not available to the plant. The cure in this case would be to sprinkle Dolomite Lime on the top of the soil, and water it in - don't add fertilizer. Over the next few weeks, a change will be obvious, with the leaves changing to green as the Nitrogen is released from the soil. Check the pH of the water you use - you may be surprised at how out of whack it is. Then, change the pH of the water to suit your plants perfectly. The pH down or pH up solution can alter the water, and make it easier for plants to access the nutrients they need. Although this is made specifically for hydroponics, it's great to use for soil grown plants too. The pH of a soil can make it impossible for plants to uptake nutrients, either all or some of them. Some plants absolutely demand a sweet soil, or one with low pH, and this product makes it easy to change the water and not only make it possible for the delivery of nutrients, but it also prevents you from over fertilizing in the mistaken belief that the plants need feeding. Echeveria are the oddball among different types of succulents; they prefer (or require) a pH on the acidic side, not alkaline (or sweet) like most others. Adding charcoal to the base of a terrarium or other container without a drain hole can make it possible to grow even succulents in that type of pot. Although not ideal to attempt to grow anything other than moss this way, terrariums and aeriums are a popular way to grow succulents, and this is where charcoal fits in. This product is meant to add to drainage, remove or lower carbon dioxide, increase oxygen flow, and better soil quality. If your planter or container is without a drain hole, charcoal can help keep your plants happy for a lot longer. Charcoal is easy to find online at Amazon. One type of fertilizer that is popular is slow release fertilizer. It's used a lot in commercial greenhouses and nurseries because it can be applied to the top of the pot as a top dressing, or mixed right into the soil - sounds easy, right? I don't recommend using this handy and economical feeding system for succulents in a home situation, because it tends to keep releasing, long after you would prefer the plant to start going dormant, making it unlikely to overwinter properly. If you insist on using it, add a tiny amount on the top of the soil, then remove it in the late summer to allow the plant to go dormant. However, for a great alternative, use worm castings for a slow release fertilizer. They're much more gentle on the plant delicate roots, and can last most of the summer. Do the same thing commercial growers do; sprinkle a teaspoon of the dry castings on the top of the soil, close to the plant. Or mix it into the soil when you go to repot an overgrown plant. Or make it into compost tea. There are many choices of slow release fertilizer at Amazon. Stay away from fish fertilizer inside your home. The very smell of this will drive you outdoors to escape it, and the plants may do well for a while, but it's just too strong and can harm the roots of many succulents. Keep it where it belongs; in the vegetable garden. This resource for finding the right nutrient source for your succulent plants will be revamped as I test and trial other systems and products.